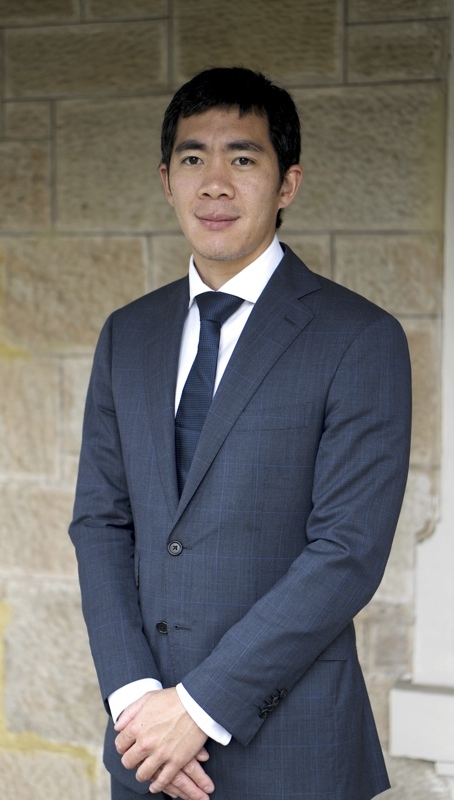 Dr Chien-Wen Liew is an Orthopaedic Surgeon in Adelaide, South Australia. Below is a synopsis of some of the advanced training he has undertaken. Hip and Knee Replacements using advanced techniques – Apr 2016: Lugano, Switzerland. Hip revision surgery and complex cases performed via the Direct Anterior Approach – Apr 2016: Basel, Switzerland. Advanced Hip Arthroscopy – Jul 2015: Femoroacetabular Impingement, Labral repairs and advanced techniques. The Avenue Hospital, Melbourne. Dr David Young & Dr Jit Balakumar. Hip & Knee Arthroplasty – May 2013: Direct Anterior approach on traction, Subvastus ligament balancing TKR. Clinique Du Cedre, Rouen, France. Mr Pascal Vie. Patient Specific TKR – May 2013: Subvastus approach to minimally invasive TKR. Centre Hospitalier Privee St Gregoire. Rennes, France. Mr Jean-Pierre Canciani. AMIS Hip Arthroplasty – Apr to May 2013: Direct Anterior approach on traction, Hip arthroscopy, FAI via anterior approach, revision hip via anterior approach. CMC Paris V, France. Mr Frederick Laude, Mr Luc Kerboull, Mr Mathieu Meyer. Revision Hip Arthroplasty – Apr 2013: Posterior approach, TM augments, and complex acetabular and femoral revision strategies. Queens Medical Centre, Nottingham, United Kingdom. Mr Andrew Manktelow. Hip Arthroplasty – Apr 2013: Direct Anterior Approach in supine position, no table, Besancon, France. Mr Antoine Serre. Hip Arthroplasty – Apr 2013: Roettinger Approach in the lateral position using uncemented acetabular and femoral components. Polyclinique de Franche-Comte, Besancon, France. Mr Jean-Michel Brientini. Reverse Total Shoulder Arthroplasty & Arthroscopy – Apr 2013: Delto-pectoral approach for Reverse TSR. Shoulder arthroscopy in young sports people. Clinique Flandres, Dunkerque, France. Mr Eric Petroff. Hip and Knee Arthroplasty – Mar 2013: Mini posterior approach, Gap Balancing TKR, TKR in difficult cases. Hospital Prive Mermoz, Lyon, France. Mr Michel Bonnin & Mr Tarek Ait Si Selmi. Hip and Knee Arthroplasty & Sports – Mar 2013: Watson Jones approach, Posterior approach, Cementless primary THR and TKR implantation, Mobile bearing knee, Transportal ACL reconstruction with Hamstring, Meniscal repair. Clinique Argonay, Annecy, France. Mr Laurent Jacquot & Mr Jean-Charles Rollier. Hip Arthroplasty and Revision – Mar 2013: Posterior approach. University College Hospital, London, UK. Mr Fares Haddad. York Cadaveric Skills Lab – Endoscopic surgery – Mar 2013: Arthroscopic meniscal repair (all inside, inside-out, outside-in techniques), Transportal ACL reconstruction, Shoulder arthroscopic cuff repair, stabilisation, and decompression. Hip Arthroplasty – Feb 2013: THA via direct anterior approach. Schulthess Clinic, Zurich, Switzerland. Mr Michael Leunig. Arthroplasty and Sports Hip and Knee – Feb 2013: THA via lateral approach, UKA, TKA and Revision, and ACL. Middelheim Hospital, Antwerp, Belgium. Mr Peter Mertens and Mr Karl Brabants.